First stop on our trip was Naples. Naples has a reputation for being gritty (and 2 previous trips through Naples on the train had compounded this view) and on this trip I found it every bit as busy, noisy and frenetic. In case you’ve never read this blog before, I am somewhat partial to a gluten free pizza. I was lucky to receive a few emails from blog readers and replies on social media directing me to the best gluten free pizza places in Naples. Almost all recommendations included Pizza Vesi, a restaurant accredited with the Italian Coeliac Society who even have a separate kitchen so cross contamination is minimised. But when we arrived we discovered just how bad the Naples traffic is. And criss-crossing Naples with 2 exhausted 4 year olds in search of gluten free food just wasn’t going to happen. I was lucky to have lots of recommendations for gluten free food in Naples so perhaps I need a post detailing all the great spots I missed, but you shouldn’t! When we looked at the flights to Italy for half term the best prices were to return from Rome, rather than Naples. Knowing that Italian train travel is easy, quick and super comfortable, returning from Rome saved us more £££ for pizza and as a bonus, gave us a great excuse for a 2 centre city break! We took the excellent Trenitalia Frecciarossa to Rome, speeding through the countryside in comfort at speeds of 300 km/h. I do love Rome. Yes it’s busy. It doesn’t matter when you come, it seems the world’s tourists are also exploring the eternal city. I have never seen anything like the crowds we found at the Trevi Fountain. At the Colosseum I pre booked tickets so we just needed to queue for the airport style security scanners to get in and skipped the ginormous queues to get in. After the gluten free disappointment of Naples, came the highs of Rome. Here’s a teaser of the fabulous gluten free food I enjoyed in Rome – blog posts scheduled for these beauties. Going sober for (most of) October. I hadn’t pre planned to do this but I’m so glad I did. Better sleep. More sleep. More productive. Skin looked better. Lost weight. This was lucky as I promptly put it back on again after all that gluten free pizza and gelato! At points in the month I felt so good, I thought I’d never touch a glass of wine again. For those of you who know me in real life, that’s a bold statement. I’m not usually one for following mass participation events like Octsober, dry January, Veganuary etc (not least since my birthday is slap bang in the middle of January) but Octsober was more successful than I’d anticipated and I’d be tempted to do it again. This month I’ve thoroughly enjoyed the following blog posts. Kelly’s recommendations for dwarf hunting in Wroclaw looks exactly like the random activity I enjoy in a city which looks perfect for a weekend break with the kids. Plus great photography as always. And finally this post on gluten free dining in Hong Kong is extremely helpful if you’re planning to head that way. Looks like things have changed a lot on the gluten free front since my last visit there. So, where did you eat in Naples?? Nowhere particularly exciting in Naples! One night in the hotel (who were good) and another night at a local restaurant which was very highly rated…..just without anything gluten free! Steak and salad dinners…. Rome is super busy; everyone told us October would be quiet…no…the locals told us it’s always busy. 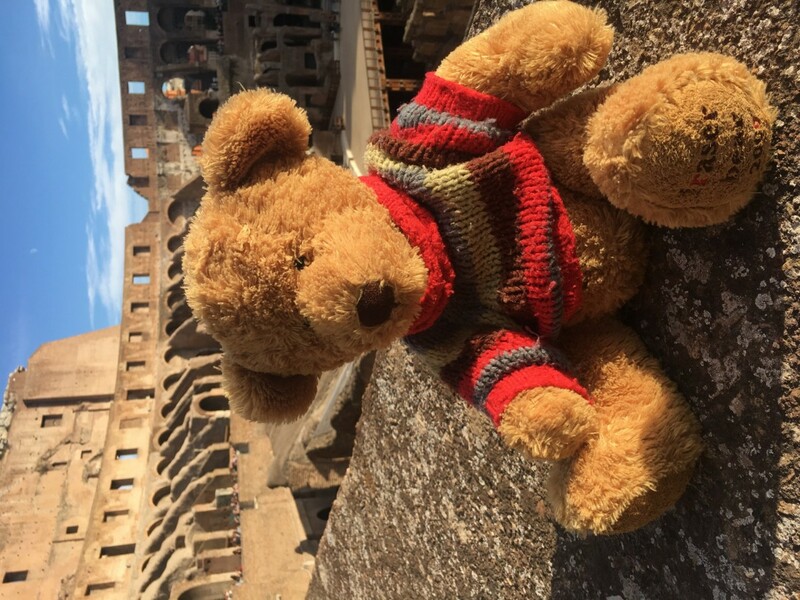 I remember visiting Rome way back in 2001 and the crowds were minimal…how times have changed in the world of travel! I do really fancy a trip to Naples, visited on a quick day trip in 2001 and remember all the blood stains on buildings and bullet holes…completely shocking for a 21 year old girl from New Zealand. Yes I definitely don’t remember ever seeing Rome so busy before. I wonder if there are more cruise ships docking at Civitavecchia these days and then day tripping on to Rome? I don’t know, something sure has changed. I like Naples because it’s not like the rest of Italy, but certainly feels like a tough nut to crack and really love.